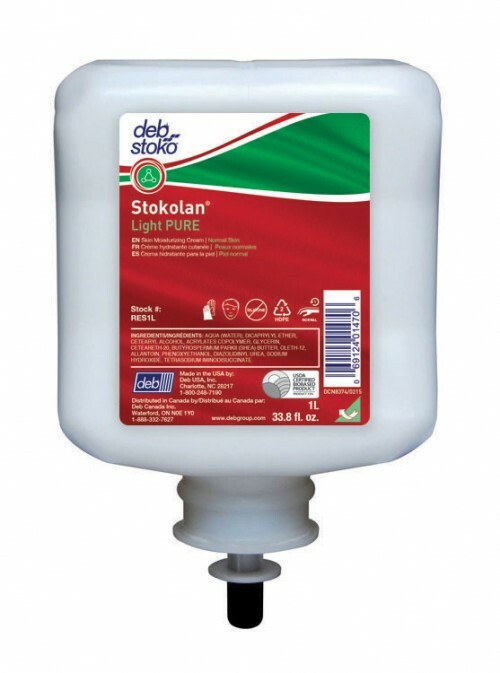 Deb Stoko Stokolan Light Pure is a perfume-free and dye free, highly effective mild after-work skin conditioning cream to provide effective skin care whether skin is dry, sore, chapped or in normal condition. For use at the end of each work period to moisturise the skin whilst natural oils are being replenished. Suitable for use on dry, sore, chapped or normal skin. Deb Stoko Restore 1L Dispensers with BioCote™ protection are guaranteed for life and are color-coded with usage instructions to encourage hand washing best practice. 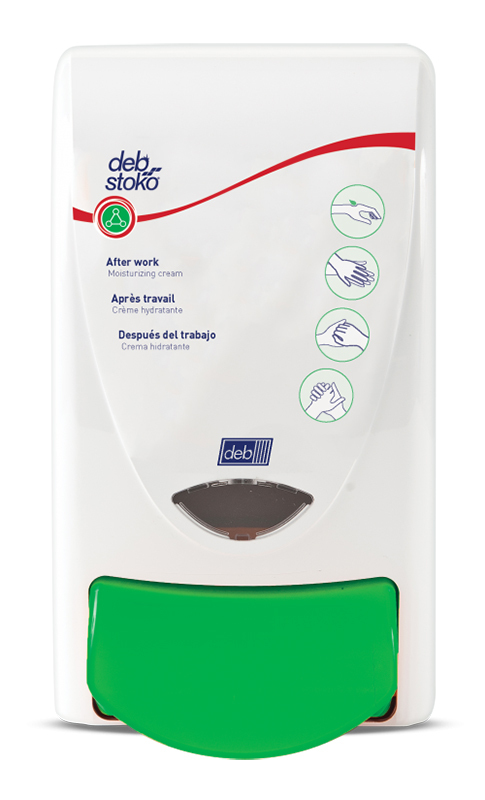 This 1L dispenser helps remind workers to always nurture and regenerate barrier damaged, very dry and stressed skin. Ideal for use in industrial and healthcare environments, especially where employees are prone to very dry or stressed skin. 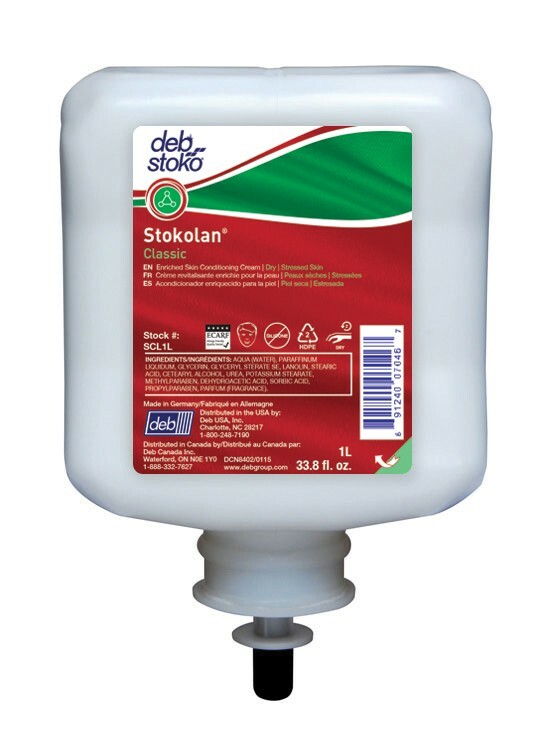 Deb Stoko Stokolan Intense Skin Repair Cream is specially formulated for very dry, damaged, stressed and sensitive skin. It is suitable for facial and body care. Long-lasting care for very dry and barrier damaged skin. 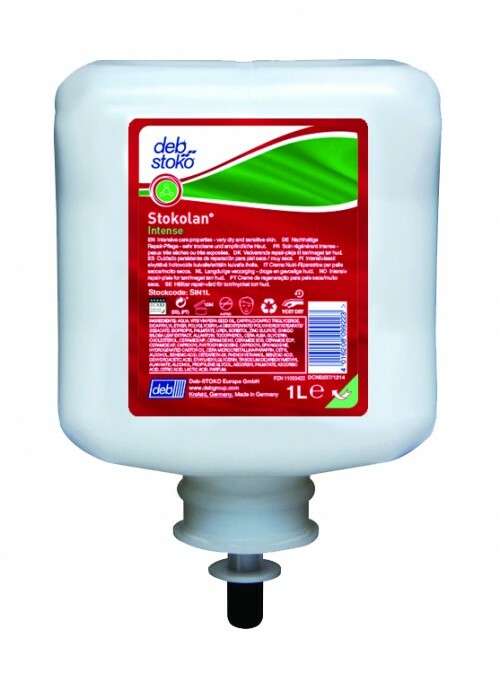 Stokolan Intense deeply nurtures, regenerates, and replenishes the skin with its valuable active ingredients. A creamy lotion that contains grapeseed oil, ceramid complex, allantoin, ginkgo biloba, urea and bees wax. 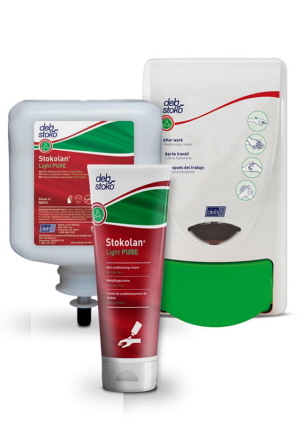 As a result, skin becomes smooth and supple. It contains a high amount of lipids, 99 % of natural origin, reducing water loss and enhancing skin elasticity. 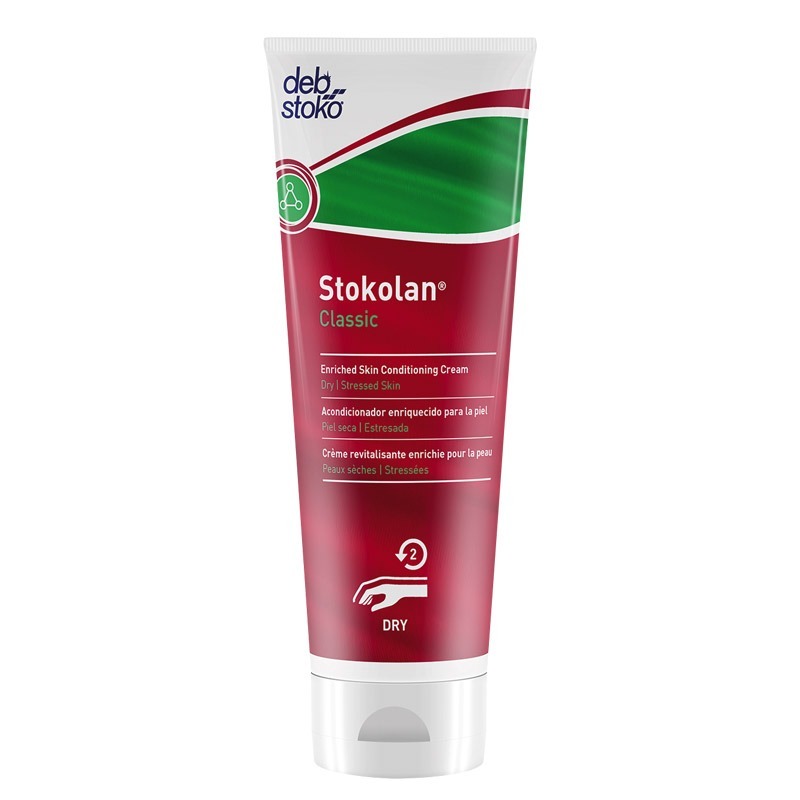 Deb Stoko Stokolan® Classic is a concentrated moisturising and conditioning care cream for hands and face to help restore moisture in dry and heavily-stressed skin. 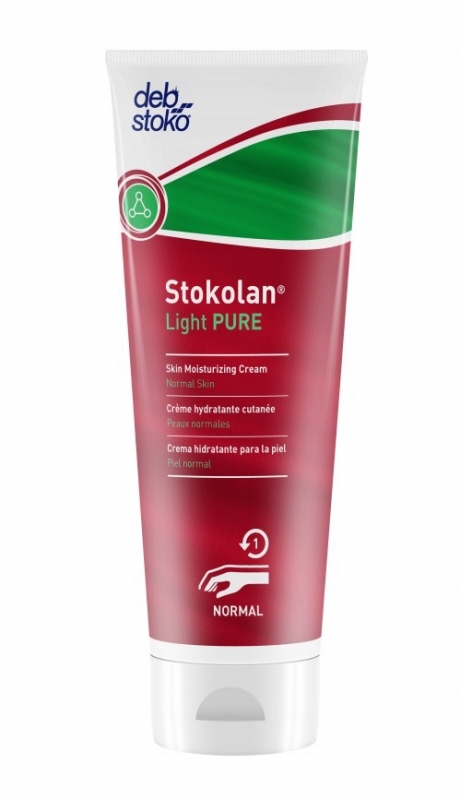 Stokolan Classic is a perfumed, silicone-free skin care cream which can be easily applied. It quickly absorbed and does not leave any unpleasant or annoying oily film. 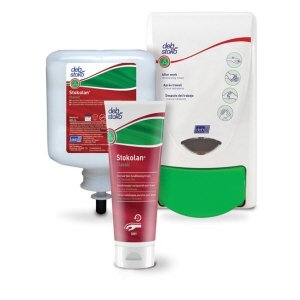 It has proven to reduce skin irritations and to soothe the skin. When used regularly, Stokolan Classic keeps the skin smooth and supple. 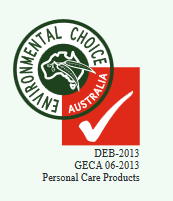 It is ideal for Allergy Sufferers & Eczema Prone Skin. Aside from hand and face, it is also great for whole body use.